The past school year was remarkable in many ways and one was the number of graduating seniors geared up to continue their sport at the college level. 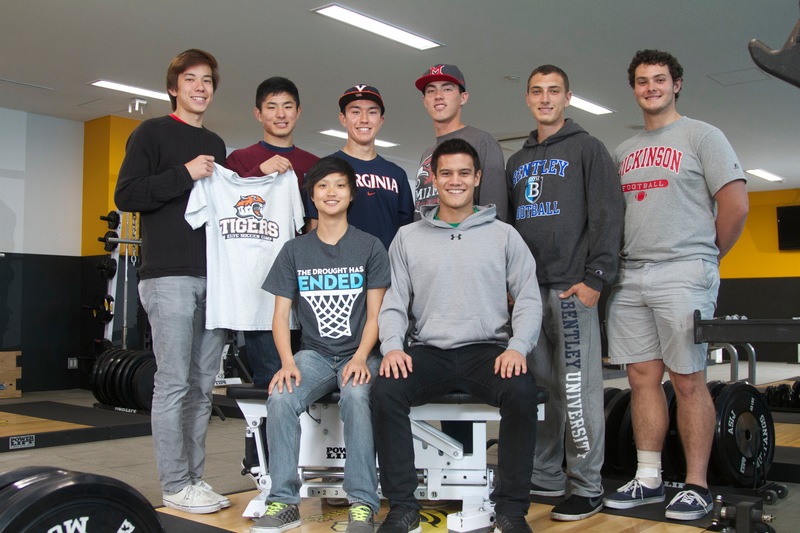 Below, we profile some of these athletes and ask them about their plans for university life. When did you first begin playing? 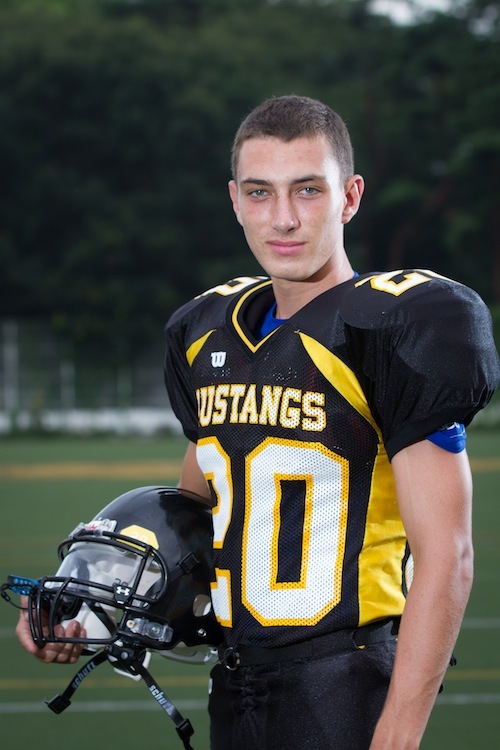 I started playing football in seventh grade on a local Japanese middle school team. As a foreigner it was extremely challenging joining a team, and learning a new sport in a language different from my own. In middle school it was always a dream of mine to play football in high school, and joining this team was the first step to making that happen. What was your proudest moment or biggest achievement as an ASIJ athlete? My proudest moment was winning Kanto Plains with an undefeated season with my teammates and friends. Receiving an all-star patch and participating in the Tomodachi Bowl is definitely my proudest achievement. I was able to put my pads on one last time as a high school athlete and play with some of my friends from my own team, as well as meet new people from other schools. What other activities have you participated in at ASIJ and how did you balance them with school work? I throw shot-put for the track team and play electric bass in ASIJ’s jazz band. Ironically, I found that when I was in season for a sport it was easier for me to manage my time because I had less time to waste, but had the same amount of work to do. This allowed me to really settle down after practices and focus on my schoolwork. What do you hope to achieve as an athlete at the university level? Going to a small division III school means that football will be a hobby rather than the primary focus of my time there. Many of the players on the team share this feeling. They are there because they genuinely love the sport, and want to continue competing and staying active during their college years as well as get a great education. What do you plan to study in college? I plan to focus on environmental studies. Any advice for future ASIJ athletes? Players often quit after one year of a new sport. I feel it’s important to remember that playing a sport is at least a four year process. As a senior who has been playing a sport for four years, you won’t be anything like what you were as a first year athlete as long as you put in the necessary work. Acknowledgements: Playing sports is certainly a financial burden. I need to thank my mom for funding my equipment purchases such as gloves, mouthpieces, and clothes for training. I’d also like to thank my entire family for coming to all of my games and supporting me for the last four years. I owe my improved athleticism over the years to Coach John Seevers and his strength program that I’ve participated in for what is now six of my eight semesters of high school. His program allowed me to reach goals in strength and conditioning that I never thought possible. When did you first begin playing? Freshman year. I always wanted to play sports after high school and I thought football would be my best chance. What was your proudest moment or biggest achievement as an ASIJ athlete? Going 8-0 in football this season and doing it with a bunch of great guys! What other activities have you participated in at ASIJ and how did you balance them with school work? I have also played basketball and ran track for four years and I absolutely love it. What do you hope to achieve as an athlete at the university level? I hope to be a contributor on my team next year. Bentley has a tradition of winning and I want to help continue that in the coming years. What do you plan to study in college? Business Management and a minor in Sports Management. Any advice for future ASIJ athletes? Always listen to your coaches because they are the reason I am able to play at the next level. Acknowledgements: I want to thank all my coaches for always being there when we needed you. I also want to thank my parents for always supporting me and helping me with the recruiting process. Thank you Mrs. Krauth for always finding me in the hallway and talking to me about how the latest track meet went. It means a lot! When did you first begin playing? I started playing in first grade. I wanted to play baseball, but since the World Cup was coming to Japan, my dad thought I would make more friends playing soccer. 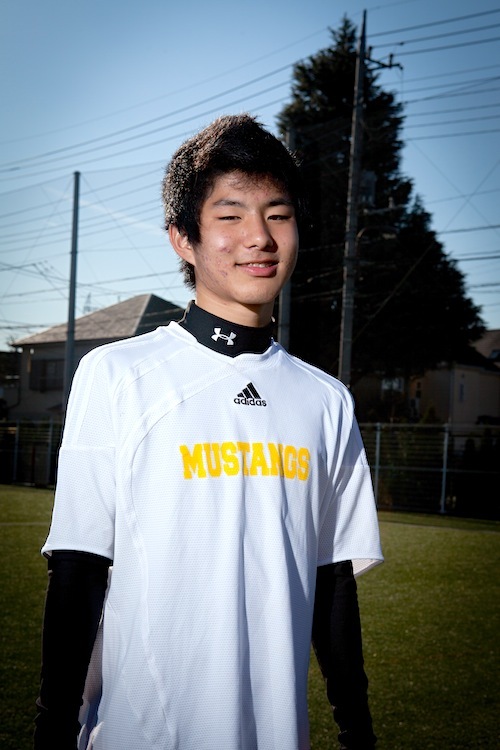 I was the new kid, having gone to pre-school outside of Tokyo, and found that being good at soccer helped me to fit in. I played every day and played for a couple of teams. I started playing competitively in fifth grade when I was drafted to the regional all-star team. I also tried out for and was selected for a club team in sixth grade. What was your proudest moment or biggest achievement as an ASIJ athlete? Individually, the proudest moment was when I received the most valuable player award. It was a big deal for me because it meant that my teammates trusted me and valued me as an individual player. As a team, I was truly amazed at how we came together and played well even though we were from such diverse backgrounds and soccer styles. When we played at the Mayor’s Cup International Showcase Tournament in Las Vegas against different countries, I was proud to be a part of such a close knit, talented, and strong group of guys. What do you hope to achieve as an athlete at the university level? 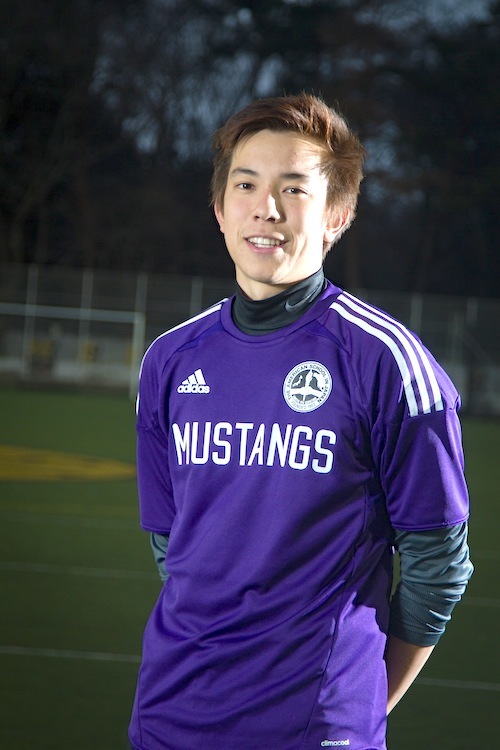 I hope that I can have a positive impact on the team, and play alongside great teammates just like at ASIJ. My parents hope that the coach is impressed enough to give me a full scholarship. What do you plan to study in college? Studying!? Any advice for future ASIJ athletes? Take every practice seriously, and always show your gratitude to the people who support you. Acknowledgements: It was my coaches, parents and supporters who gave me the opportunity to play at the competitive level, and I can’t thank them enough for that. I want to thank them for what they have taught me over the years—I won’t forget their passion, dedication, and generosity. When did you first begin playing? I have been in the water, whether it be playing at the beach or swimming lessons with my mom, since I was a baby. 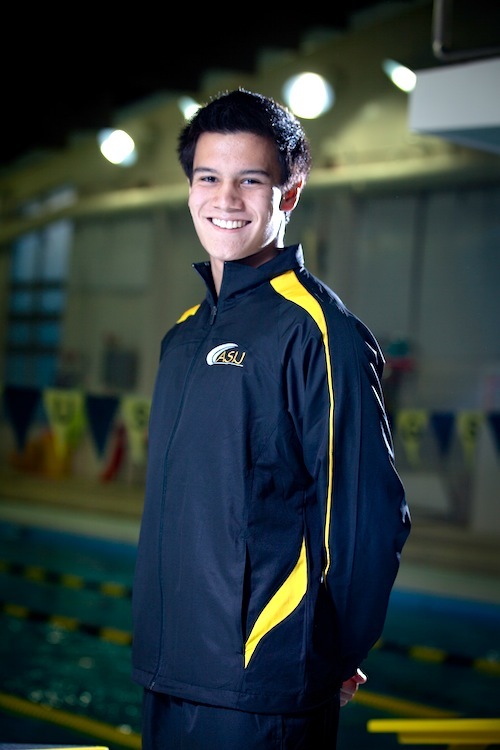 However, I started swimming competitively when I came to ASIJ in fourth grade, when I joined the Mustangs Elementary School B-Team. There was no particular reason that I started swimming—it seemed fun, I wanted to be able to swim fast in the water, and all my friends were doing it (albeit most of them were on the A-Team). What was your proudest moment or biggest achievement as an ASIJ athlete? I have two proudest moments. 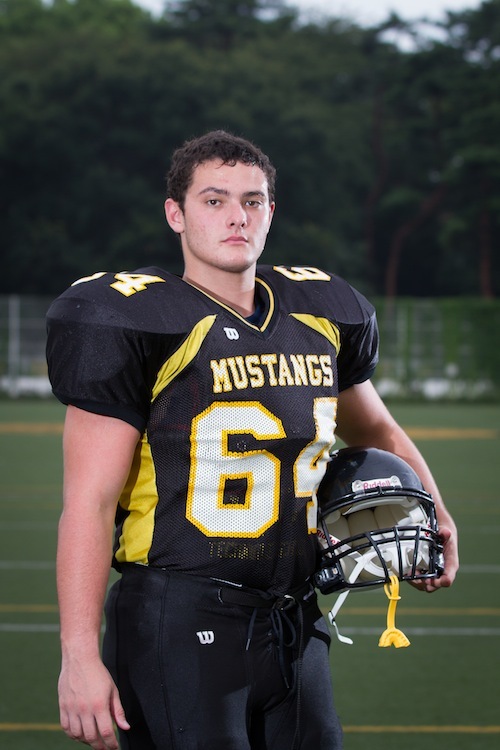 The first one was when the Mustangs varsity team won the Kanto Championship in my sophomore year. Winning is always great, but there is no feeling that quite equals winning alongside your team. We were like family. My second proudest moment was when I was awarded MVP in my sophomore year. I was made captain that year, and I was really proud to have been able to join the ranks of other great swimmers as MVP. It was really only possible, however, with the support of my awesome teammates. What other activities have you participated in at ASIJ and how did you balance them with school work? I participated in some community service opportunities with Hands On Tokyo as well as various events through National Honor Society (NHS). On the whole however, the majority of my time was concentrated around my academics and swimming. I would definitely like to branch out and try new things in college. What do you hope to achieve as an athlete at the university level? During my four years at college, I would like to qualify and compete at the NCAA Division III Championship. It will take a lot of hard work and training, but I would definitely like to compete on the national stage during my swimming career. What do you plan to study in college? International Relations. Any advice for future ASIJ athletes? A mentor of mine once told me to live by “shusha sentaku.” This is a Japanese proverb that roughly translates to “select and discard,” and it is advice that I have lived by. Select what you need in your life—time for training, supportive friends and family, solid mentors. And discard what you don’t need—unnecessary distractions. Only then will you live a healthy life and achieve your goals. Acknowledgements: I have had the privilege of having amazing coaches and mentors who have supported and guided me throughout my swimming career. I cannot thank them enough. I also have amazing parents who have provided me with all the opportunity as well as loving support that I could ask for. They’re awesome. When did you first begin playing? I’ve always wanted to follow the footstep of my older brother, Shawn. Ever since I was born, I always watched his games and practices. What was your proudest moment or biggest achievement as an ASIJ athlete? Winning the Far East Baseball Tournament during my freshman year. Winning a championship the first year of my high school baseball career was a proud moment. What other activities have you participated in at ASIJ and how did you balance them with school work? I played basketball (winning the Far East Basketball Tournament during my junior year was also an amazing moment!) Sports have always been a great way for me to make friends and build relationships. The concept of TEAM in sports always intrigued me. At times it was pretty hard to balance academics and sports. I would come back from a late away game and have projects due the next day. A lot of late nights! What do you hope to achieve as an athlete at the university level? The ultimate goal is to win in the College World Series. What do you plan to study in college? Undecided. Any advice for future ASIJ athletes? You are never done learning. Always have open ears to ideas or advice from anyone. Take in all the information you can and stick with the things that work for you. In the end YOU have to make the decision of what’s best for you. Sometimes the smallest things you hear or learn become the biggest difference in your life. Acknowledgements: To my parents—thank you very much for all the support and encouragement toward my goal of being a baseball player. I really couldn’t have done it without you guys. All the early mornings and long drives will never be forgotten. To my brother—Thank you for being a great role model for me. Setting a good example is hard but you did it perfectly. To my coaches—thank you for devoting a lot of your possible free time for us. You have all the respect in the world from me. When did you first begin playing? I began playing baseball at age 7. I started because I was too young to attend a summer robotics camp, so instead reluctantly went to my first baseball camp. I realized I had raw talent, fell in love with the game and joined a Japanese little league team a few years later. What was your proudest moment or biggest achievement as an ASIJ athlete? Committing to play baseball at Miami University, after three and a half years of relentless work and many setbacks. What other activities have you participated in at ASIJ and how did you balance them with school work? I played three years of football. At times it was challenging, especially on game days when you’re thinking about the game, but you still have to get through a test or timed essay. But in the end, in order to be a student athlete you must balance academics, athletics and social life to be successful. What do you hope to achieve as an athlete at the university level? Make an early impact on the team, and lead the team to win a lot of ball games. What do you plan to study in college? Sports Administration, and possibly International Business. Any advice for future ASIJ athletes? Start the recruiting process as a freshman. Make a skills video, send emails to schools of interest and use your vacations to get in front of as many coaches as possible. Use the “I got to school in Japan” card to your advantage, it makes you stand out to college coaches. And ultimately thank your parents for all the time and effort they spend and sacrifice. You can’t do it without them. 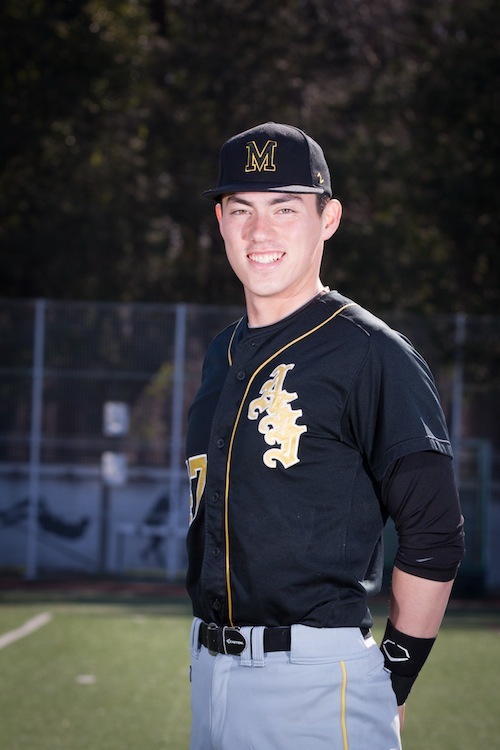 Acknowledgements: Big thanks to Coach Seevers for four years of baseball and eight semesters of strength training. If it wasn’t for him, my flexibility would still be that of a flagpole. When did you first begin playing? I started playing basketball as a third grader at ASIJ when one of my best friends started teaching me how to play. I started playing competitively in a local Japanese league because my mom wanted to see me actively pursue a sport outside of school. When I realized I could keep up with the bigger, faster, stronger Japanese girls, I started wanting to win. What was your proudest moment or biggest achievement as an ASIJ athlete? This 2013-2014 basketball season when we won the Far East tournament, ending a 22 year drought, was my biggest achievement. We only had two losses at the beginning of the season in the Hong Kong tournament, in which we got third place. We won the Far East title by beating Kadena by 20 points in the final game and it was just amazing. After six years of playing competitively in a Mustang uniform, winning Far East and being named MVP was the perfect ending to my basketball career at ASIJ. What other activities have you participated in at ASIJ and how did you balance them with school work? I am a varsity basketball and soccer athlete and an active member of National Honor Society (NHS) since 10th grade, plus participation in various student-led clubs. It’s been quite the journey trying to balance all my activities. In fact, my mom jokingly said that she would pull me out of sports if I didn’t bring my grades up. It was a difficult task to manage everything, but once I got the hang of it, I learned how to finish two days worth of homework in a few hours, get to practice every day, AND do a minimum of 10 hours of service every semester, all while maintaining a social life and keeping up with my TV shows. What do you hope to achieve as an athlete at the university level? I just hope I can contribute to the team in any way possible and that I continue making ASIJ proud even when I no longer wear black and gold. What do you plan to study in college? I’m tentatively planning to double major in Finance and Psychology. Any advice for future ASIJ athletes? Pursue what you have a strong passion for. Make sure you give 100% into everything you do and your hard work will pay off, no matter how long it might take. Just keep doing what you’re doing! Acknowledgements: My parents and brother are my biggest fans and without their support and encouragement, I wouldn’t be the person I am today. Every single one of my coaches has made me a better student, athlete, and person. I couldn’t have achieved success without their guidance. And to everyone who told me that I could do whatever I put my heart into, thank you for your endless support. When did you first begin playing? 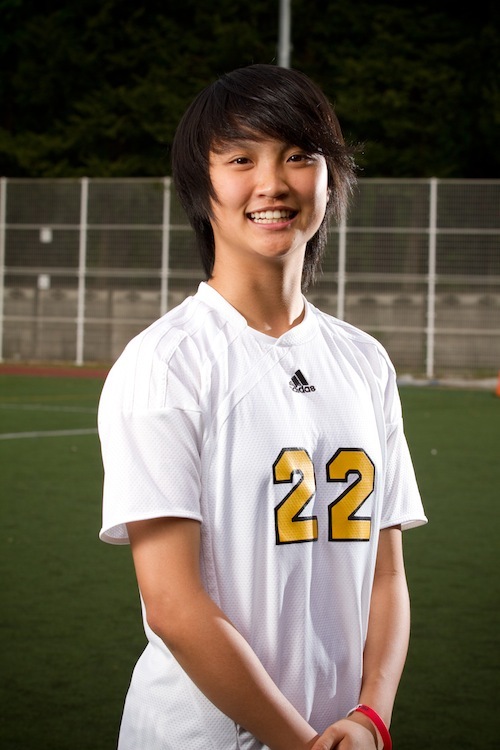 I started playing soccer in middle school at ASIJ as a field player, then got serious at the beginning of my freshmen year when I changed my position to goalkeeper. My biggest motivation throughout my years as a goalkeeper would without a doubt be my older brother, Bryan [Class of ‘10]. He pushed me when I wanted to stop and sometimes I hated him for it; I see now that everything he did got me to where I am. What was your proudest moment or biggest achievement as an ASIJ athlete? I would say my proudest moment was the day I found out I was playing college soccer. When I was notified by the college and the coach that I was to be a member of their team for another four years I was happy beyond words. What other activities have you participated in at ASIJ and how did you balance them with school work? 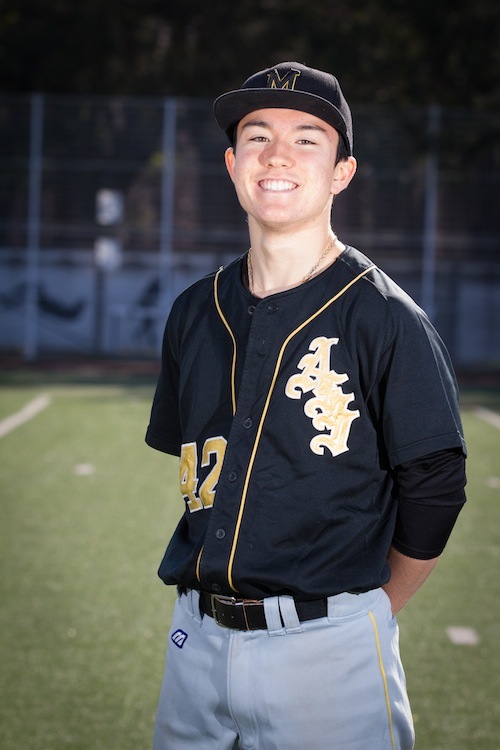 Baseball and one year of football were some of the other sports I played at ASIJ. At times it was really difficult to balance academics and athletics—especially when I played club soccer throughout my junior year. What do you hope to achieve as an athlete at the university level? I hope to let the sport take me as far as it can. If I have the right mindset and work ethic maybe college soccer can be a gateway for other things. What do you plan to study in college? I plan on studying either Economics or Biology. I have always had a strong interest in sciences and business. Maybe I can find a way to fit the two together in the future. Any advice for future ASIJ athletes? No matter how frustrating working hard can be, keep in mind the bigger picture. All the hurt and all the frustration will eventually lead to something bigger and better that will definitely make everything worth it. Keep your head high, but always open to criticism. There is something to be learned from everyone, no matter how good you may be at what you do. Remember who got you to where you end up and never let them forget how grateful you are. Acknowledgements: To my coaches, parents and supporters—thank you for everything you have done to get me to where I am. From the smallest of things to the biggest, everything you have done for me truly allowed me to be able to become a college soccer player.